Tiara Smith, University of Illinois Chicago Jane Adams College of Social Work. 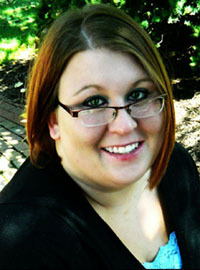 She also has a Bachelor of Arts degree in Pschychology and Sociology from College of the Ozarks. Tiara is concentrating in mental health for her final year at Jane Addams. She became interested in mental health when a friend at college was dealing with all the problems that come with being a sexual abuse survivor. She was struggling with PTSD, self-harm, depression, and anxiety. She had a hard time sleeping due to recurrent life-like nightmares. She had sense memories, and could panic if you barely touched her, and simple objects could pull her back into her horrific childhood. Nighttime was the hardest part of the day for her because this was usually when she was attacked by her abuser. She would avoid strange men and especially men who she believed could overpower her. Although Tiara enjoys working with clients one-on-one, to truly make a difference she feels she has to work at changing the environment surrounding their circumstances. Social workers not only work with individuals but also groups and communities. Her plan is to gain knowledge and experience to advocate for her clients in the state and federal government. Policies are the way to affect large scale change within society. Ultimately she hopes to return to her hometown in rural Missouri, a small town ravaged by the recession with rampant methamphetamine use.